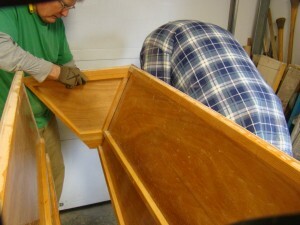 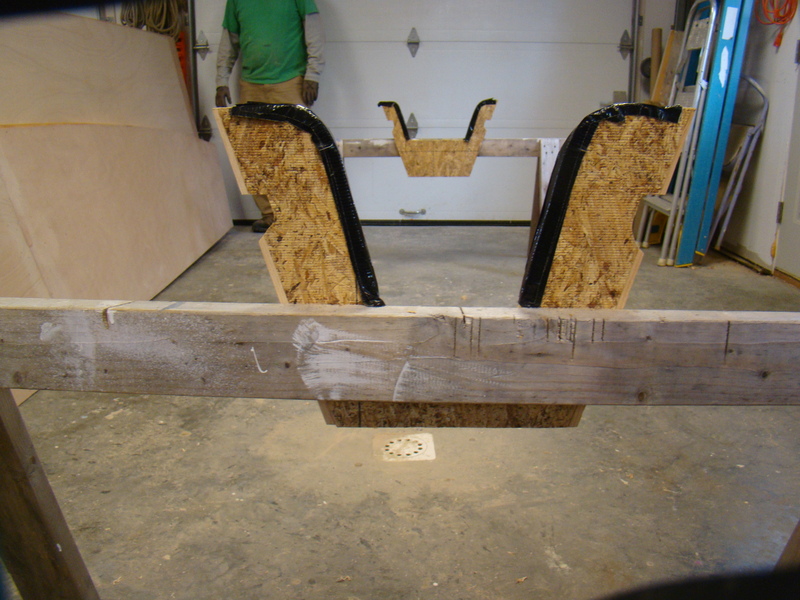 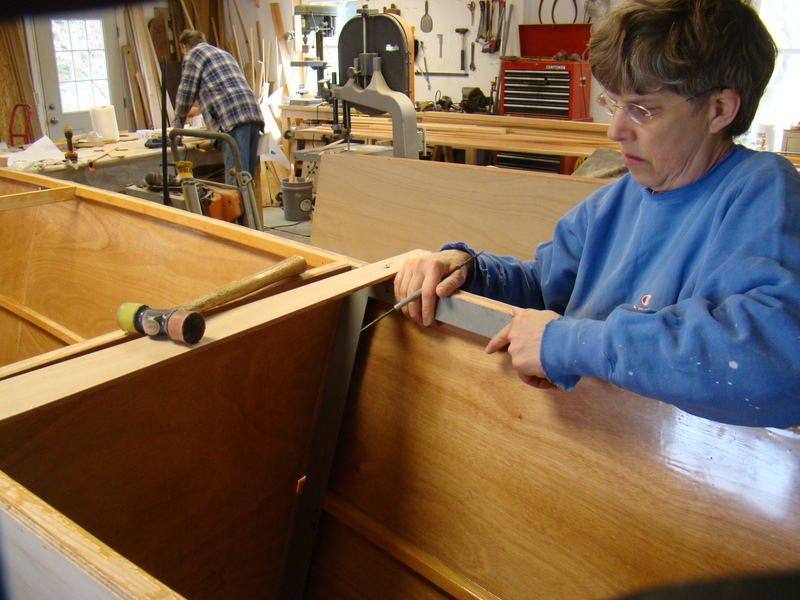 Using the fore and aft bulkheads for pattens, we set up bunks on sawhorses to hold the main hull. All the hull parts will be dry fitted before gluing in place. We pre-drill the parts in place, and then screw them together. 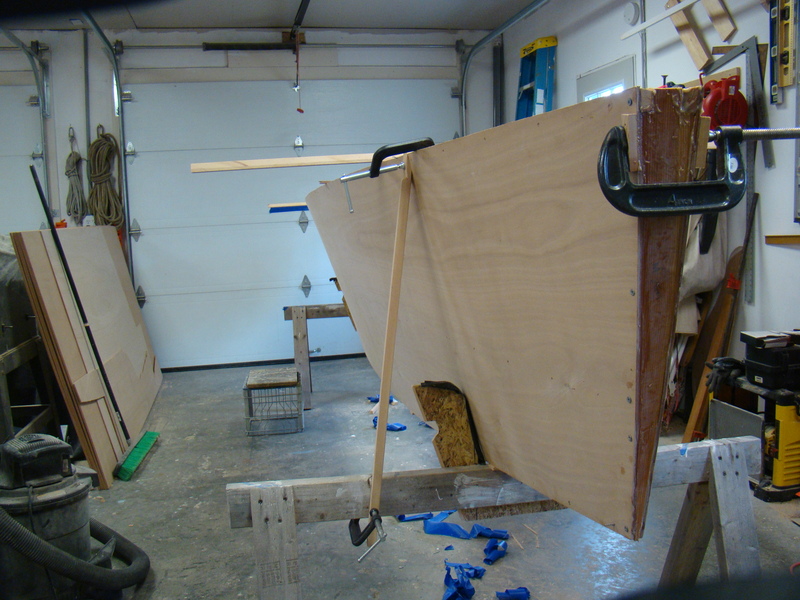 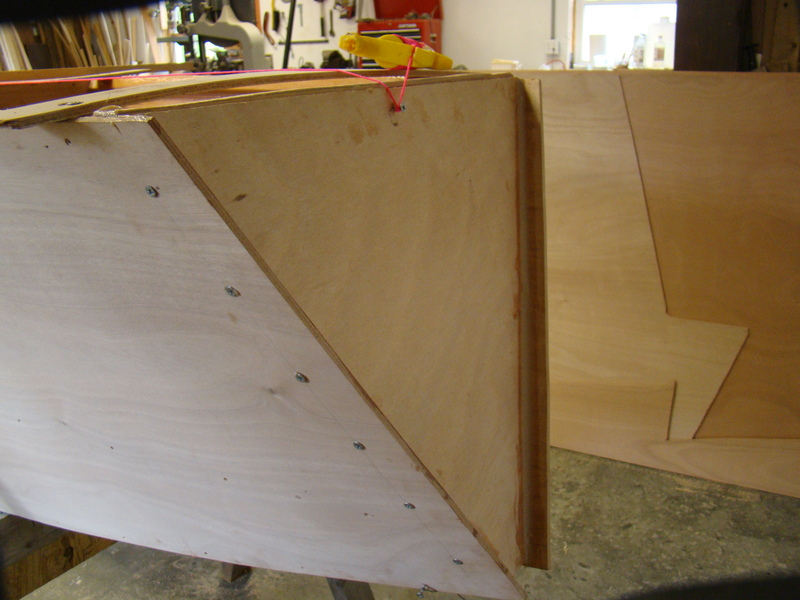 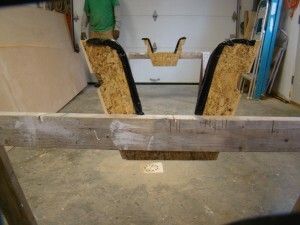 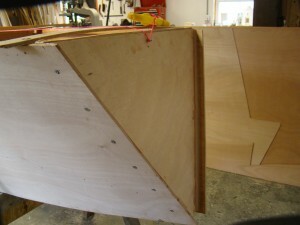 As the transom is screwed in place, the hull begins to take shape. 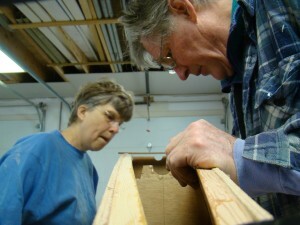 With a spreader inserted, to hold the sides of the hull apart, the boat begins to take shape. 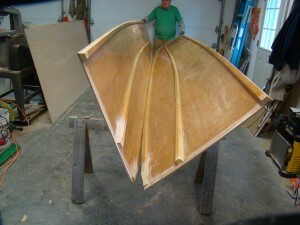 Fitting a bulkhead to the bottom of the main hull. 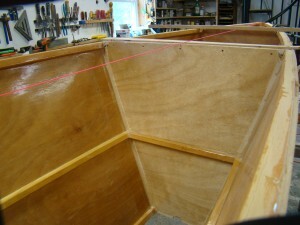 The bulkheads need to be adjusted, as need, to make sure they meet the main hull bottom. 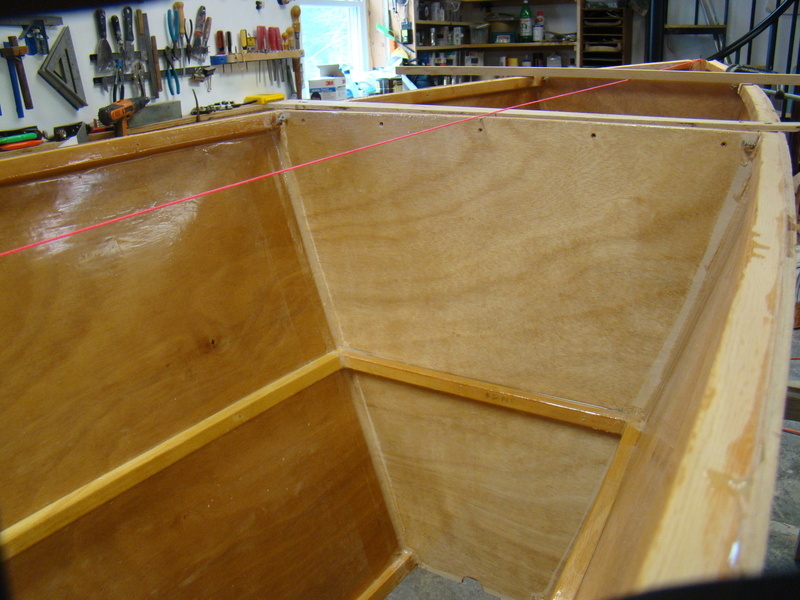 Bulkhead glue areas sanded and taped. Each side of the hull where the bulkheads, transom, and stem will be glued with epoxy fillets need to be sanded and taped to insure a strong glue joint. The main hull is completely disassembled, and then put back together with epoxy fillets starting with the stem and transom, and then the bulkheads. Using a couple of sighting sticks on the top of the hull, we check for wrack (twist) in the main hull. 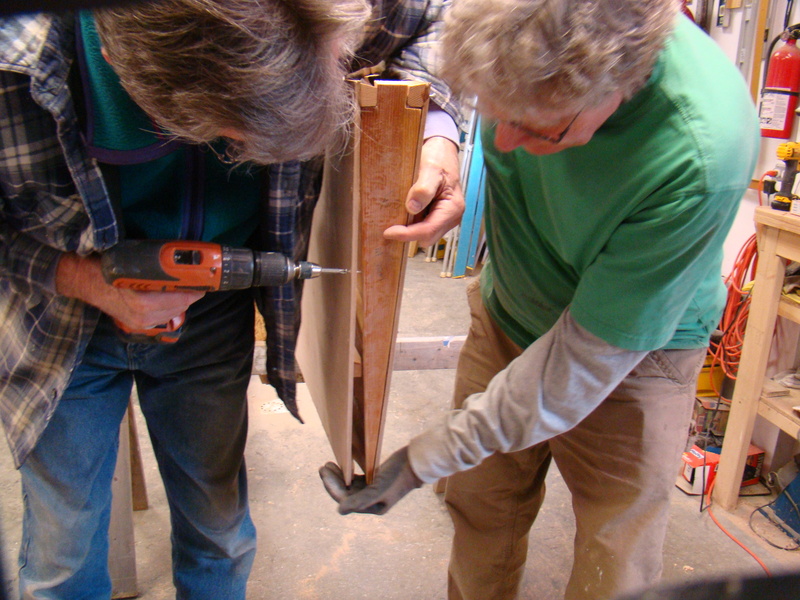 Then with sticks attached fore and aft between the sawhorses and the top of the hull, we slightly twist the hull to the proper shape. 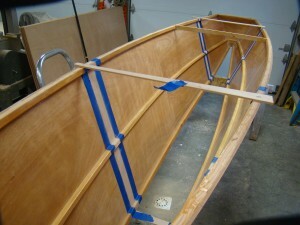 This has to be done before the glue joints dry, while the hull is still flexible. 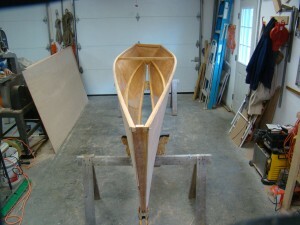 Next: Building and installing the daggerboard truck here.